There is no shortage of qualified freelance writers looking for work, but finding the right people to handle your content creation can be a bit of a challenge. Fortunately, there are a number of different ways to approach finding skilled freelance writers who meet your specific needs. 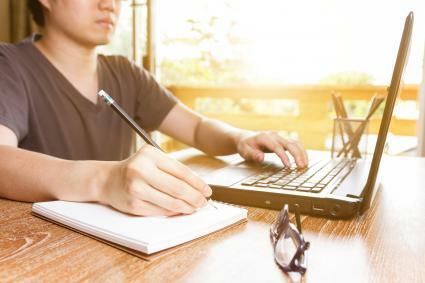 The first steps in finding great freelance writers are to define exactly what you need and to create a writer communication that clearly conveys this information to prospective writers. It's important to know what your needs are before you start looking for freelance writers. This will help you structure your search in a way more likely to lead you to the types of writers with whom you want to work and allow you to communicate effectively with them about your expectations. Many writers do freelance work. Some focus on high-quantity, SEO-focused articles, while others may focus on creating web content, product descriptions, technical writing, creative writing, or specialized articles based on their expertise. Type of content needed: Articles, blog posts, product descriptions, book chapters, creative writing, etc. Other content details: Tone, style, audience, etc. Quantity expectations: Article length, number of articles per week or month, turnaround time, etc. Language requirements: Does the writer have to be a native English speaker? Request for work samples: It is best to ask freelancers to provide you with links to published samples of their work online or full/partial text of samples they have previously written for clients. It is not advisable to ask prospective freelancers to produce sample articles for you without compensation as part of the application process. Experienced freelancers will not apply if you make this type of request. The more details you provide, the greater the chance that you'll get replies from writers who are interested in the kind of work that you need. Once you have taken care of defining your need and crafting a recruiting-focused message, the next step is to decide where to look. There are a number of resources you can utilize to look for freelance writers. If you already have freelancers working for you or if you know other people who hire freelancers, consider asking them for referrals. Consider offering a referral fee for any writers they send your way who work out. If you do this, be sure to clearly define the parameters, such as the referral fee amount, how you need to be notified the person is a referral and what criteria have to be met (such as completing at least five articles or finishing a particular project). A content writing service can be a good option for finding and working with freelancers, particularly when you want to have the security of having an established company between you and the writers who are providing writing services for you. These companies screen their writers for various criteria, including writing skill and expertise, and have guidelines and payment processes designed to protect clients and writers alike. Some include (or provide for an additional fee) editing services. They typically have set rates, sometimes with a sliding scale based on writer ratings. Contently: If you are looking for super-high quality, edited work and have the budget to pay a premium fee, Contently--Grasshopper.com's top pick for finding freelancers--is a great option. They don't publish rates on their website, but commenters on Quora indicate that the general fee for a completed post is around $275. They are considered a premium resource for freelancers. They have a "freelance network" encompassing more than 60 countries with in excess of "55,000 award-winning journalists, videographers, graphic designers, researchers, and photographers." This is not a place to go if you are looking for low-cost, fast-turnaround work. WriterAccess: Also recommended by Grasshopper.com, WriterAccess is a more affordable option to find pre-screened freelance writers, and it is a good choice for fast-turnaround work. Clients must open their account with a deposit, and payment is made to pre-screened, rated freelancers who complete assignments once their work has been approved and accepted by the client. Rates vary based on writer rating, from 2 cents to as much as $2 per word. Editing is optional, with rates ranging from $30 for proofreading to $100 for review by a senior editor. Translation and content strategy services are also available. ConstantContent: Identified as a top content service by MediaShower.com, ConstantContent offers both an online content marketplace and a way for clients to purchase custom content. The site has a rich marketplace of pre-written content that writers upload and offer for sale at set rates and terms (such as full, unique or exclusive rights). Clients can browse and purchase pieces that meet their needs, providing an instant solution. Alternatively, clients can submit requests, even selecting which writers are invited to work on their projects. ConstantContent has more than 100,000 registered freelance writers, all of whom have been screened through the site's extensive application process. Writers set their own rates, so, according to BlogPros.com, rates may vary from $25 to $125 (or less or more) for a 1,000 word article. With any content production company, you will not be able to communicate with writers working on your project outside of the company's platform. If you would rather work directly with a writer rather than going through a content writing service, there are a number of resources you can use to get your message in front of freelance writers who are actively looking for work. Craigslist: According to Freshbooks.com, Craigslist is "a fantastic source for freelancing jobs." Because so many individuals and companies who search for freelancers use this site, it is often a go-to resource for freelancers who are actively looking for new clients or projects. 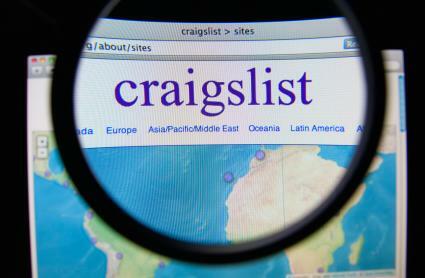 The catch with Craigslist is that you'll have to place your ad in a particular city, even though the services you need can be performed anywhere. According to AboutFreelanceWriting.com, New York and San Francisco are generally the best cities to post in, as writers often check those first. Of course, you can post in any location - and the fee for posting jobs varies by the location you select. In smaller markets, postings are free, though in larger markets you should expect to pay as much as $75. ProBlogger Job Board: The ProBlogger job board is a great resource for advertising blogging work, as well as other kinds of freelance writing positions. This site has been around since 2004 and is frequented by experienced and new writers alike who are searching for work opportunities. According to IveTriedThat.com, the site attracts writers because it "offers a wide range of writing gigs that pay a decent rate per hour or task." It is recommended by Jobscan.com as a top five job site for freelancers, particularly for the fact that it is updated frequently -- often multiple times per day. You can advertise a job for 30 days for $50. FreelanceWritingGigs: Recommended as a top resource for finding freelance writing jobs by Common Desk, this site is "a freelance writing community featuring daily job leads" and other information of interest to freelance writers. The site compiles jobs posted on various online locations, though you can be certain that your posting appears here with a paid job placement, which costs just $30 for 30 days. 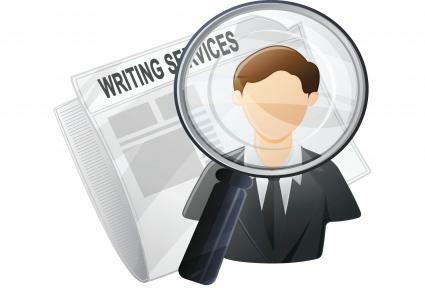 With job postings updated daily, it is frequently visited by freelance writers looking for the latest opportunities. FlexJobs: The people who use FlexJobs.com to search for freelance writing opportunities are serious about finding flexible work, because they pay a fee to use the site. The fee is worth it, because the site vets all postings to ensure they are legitimate, verifiable paid work opportunities. There is no cost to post freelance writing jobs (or any other flexible or remote job opportunity) on FlexJobs.com, though there is a fee for premium placement. You can also search candidates who are registered on the site at no cost. It is recommended as a top resource for freelance writing work by Common Desk. You may also want to consider specialized resources for your specific need, such as places freelancers use to look for ghost writing, poetry, technical writing, sports writing, copywriting, resume writing or grant writing work. There are even resources that can help you find freelancers looking for editing and proofreading work, if you're also interested in outsourcing that aspect of your content needs. Find byline articles written by writers whose style is a good fit for what you need. Click through their byline to look at their bio to find out how to get in touch with them. Often, you will find a writing website URL, social media profile, or email address listed there that you can use. If you are not able to find contact details on the writer's bio, do an Internet search to see if you can find the individual's website or contact information. This will often lead you to a writer website, email address or social media profile. Once you locate contact details of writers whose style seems to meet your needs, reach out via a personal message to find out if any of them are interested in working with you. It is time consuming to do this, but often it takes no more time than screening through applications that come in as a result of an ad, many of which may not be at all what you are seeking. 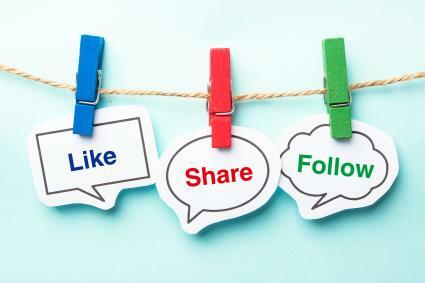 If you have a company Facebook or LinkedIn page, post details about what you are looking for. Do the same with your company or personal Twitter profile, using hashtags likely to attract freelancer writers, such as #freelancewriter, #freelancework, #writing, and #telecommute. If you have a premium LinkedIn account, you can also search for freelance writers with certain kinds of expertise to contact directly through the site. No matter how you find potential freelance writers, you'll need to narrow down the inquiries or applications you receive to select the writers with whom you would like to work. You'll need to review their work and communicate with them about your needs and their skills and availability, so you can make a mutual decision regarding whether there is a good fit. Request work samples that reflect the type of writing you need the individual to do. The fact that someone can write news-oriented pieces well does not mean that he or she will do a good job with product descriptions or first-person blog posts. Communicate primarily in writing via the screening process, as this will give you a sense of how responsive the individual is, as well as what his or her unedited writing looks like. Ask for references of clients or editors that the writer has worked with in the past and actually check them. Since it can be difficult to get a true sense of how effective an individual freelancer really is through the initial screening process, consider starting small. Assign just a few pieces with a relatively short turnaround time so that both you and the writer can determine if the relationship is the right fit before committing to a larger project. It's important to enter into a formal agreement with freelance writers. This ensures that you and the writers are clear on the terms of the relationship. It would be advisable to draft an independent contractor agreement designed specifically for use with freelance writers and have it reviewed by a qualified attorney before using. At a minimum, the agreement should include contact information for both parties, specify that it is a work-for-hire agreement, clarify the independent contractor nature of the relationship and include details of how and where any disputes that might arise will be handled. If you hire the right freelancers, hopefully the disputes will be few and minor.